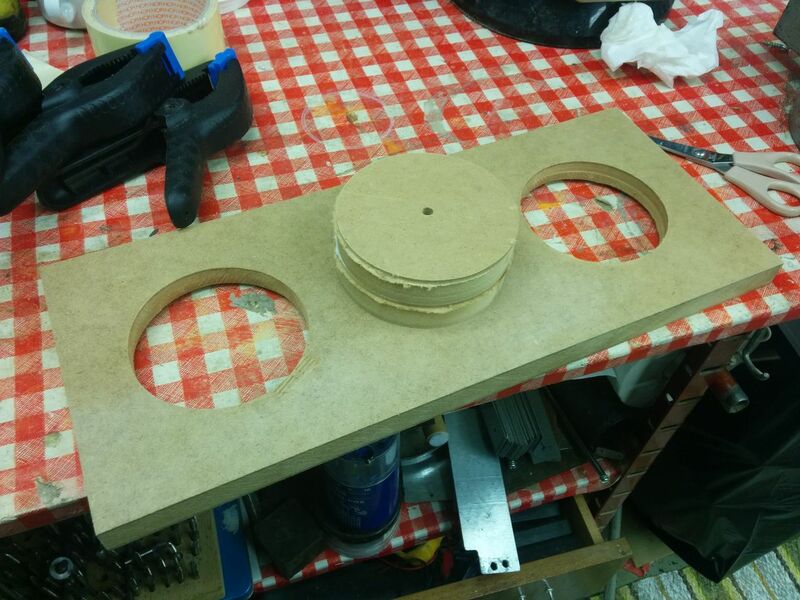 Routed holes for cables in the top and also a hole for the fan also in the top. 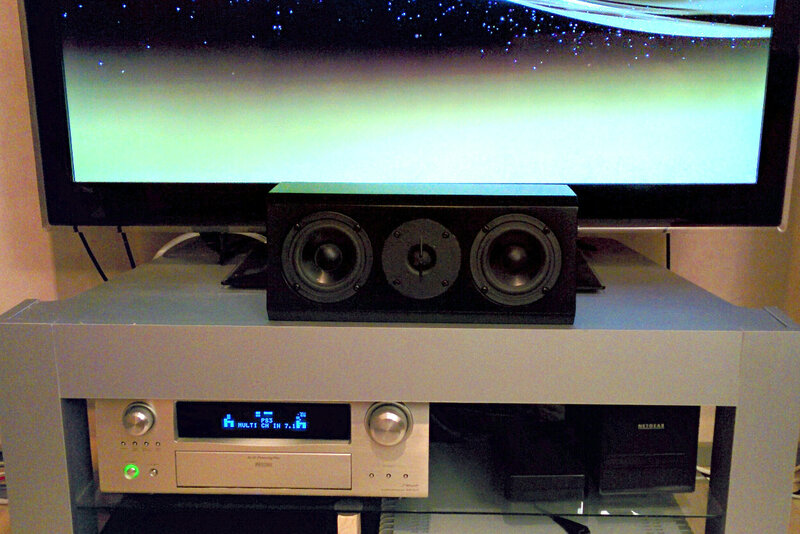 I recut the baffle and routed out the insets for the speakers. 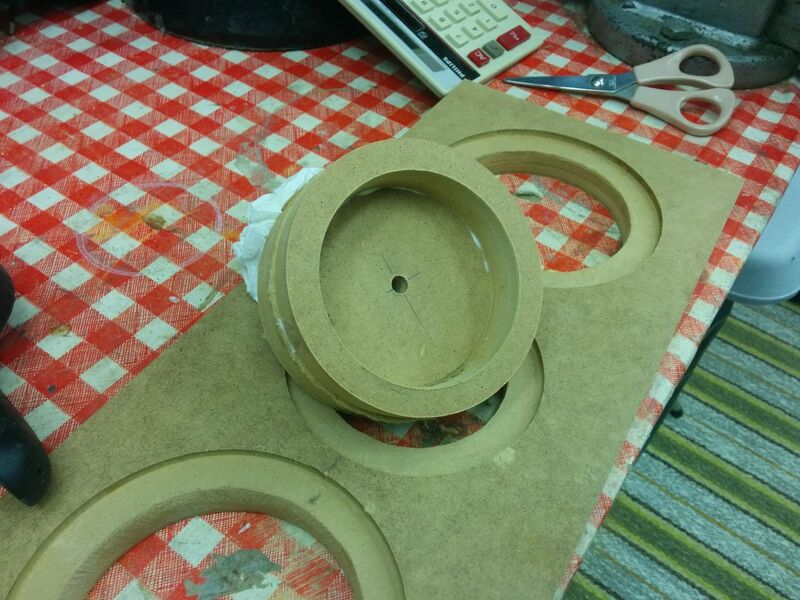 I also recut the pieces for the sides as I wanted to make the enclosure deeper. The box is partly glued up now. I keep my glue in a used mustard bottle. 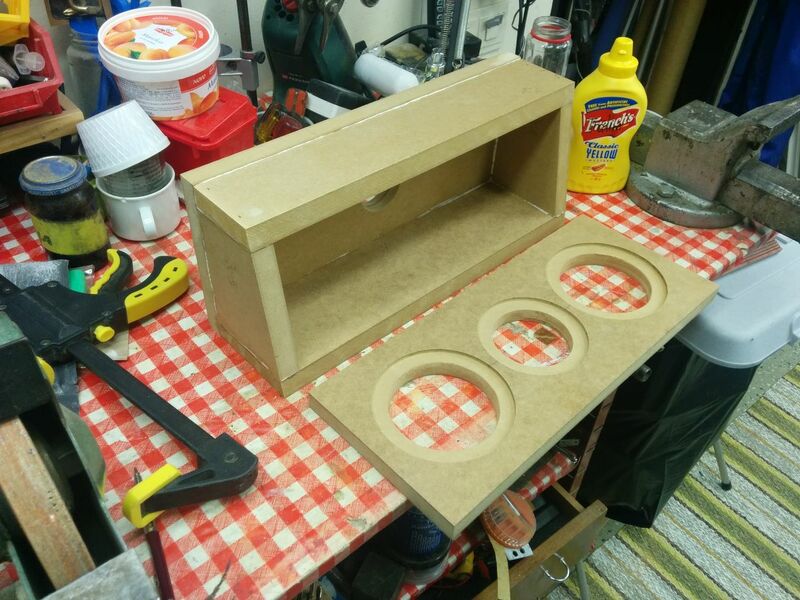 I also remembered that the tweeter needs a separate enclosure and made a little round box to be mounted behind the tweeter. 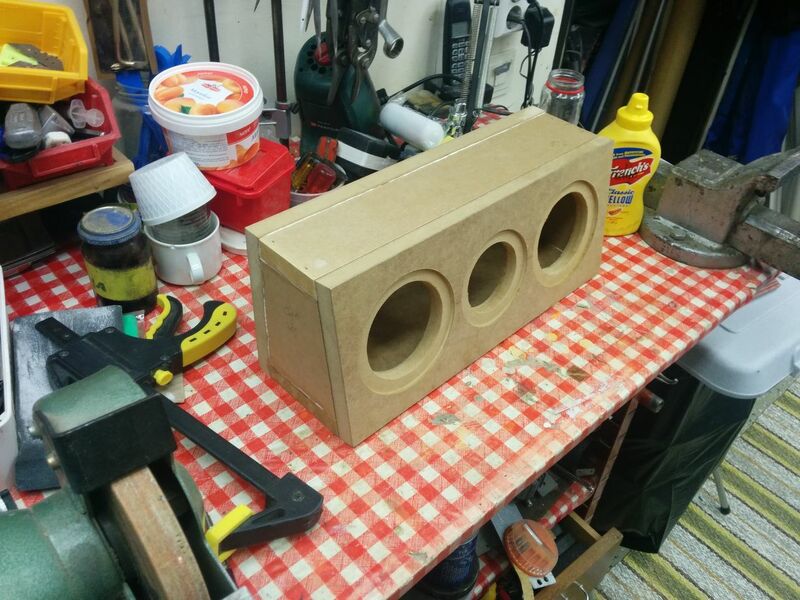 I should have used the router for this but it was tucked away so I used a couple of holesaws instead. 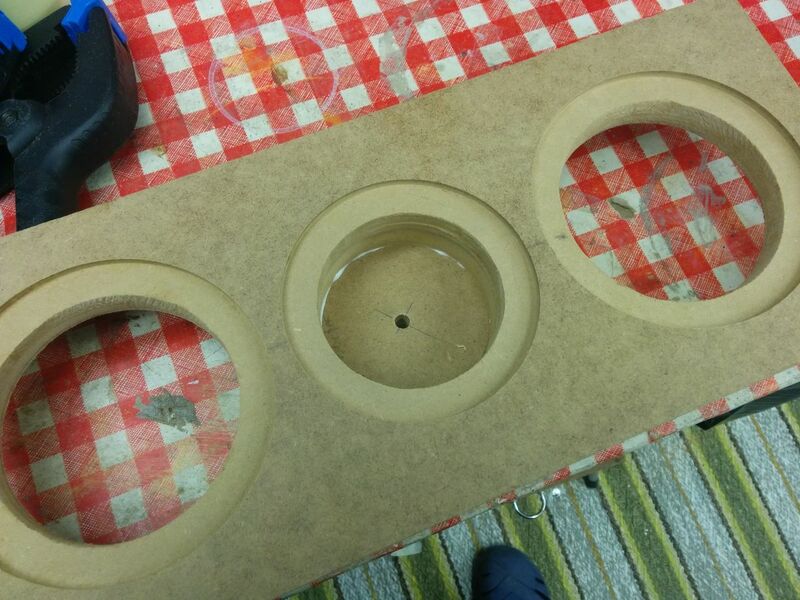 The center hole will be used for the leads and then filled with hotglue.